There can be no question that the Lotus Elise S was designed with driving passion in mind. This sports car is all about the thrill of performance. The light-weight extruded aluminium chassis and composite body means it weighs in at just 924 kilos and with a 1.8 litre fuel injected engine fitted with a Magnuson supercharger, the Elise S achieves 0-60 in only 4.2 seconds. Mid-engined for better balance and aero-optimised, this car provides the raw exhilaration few other sports cars can. 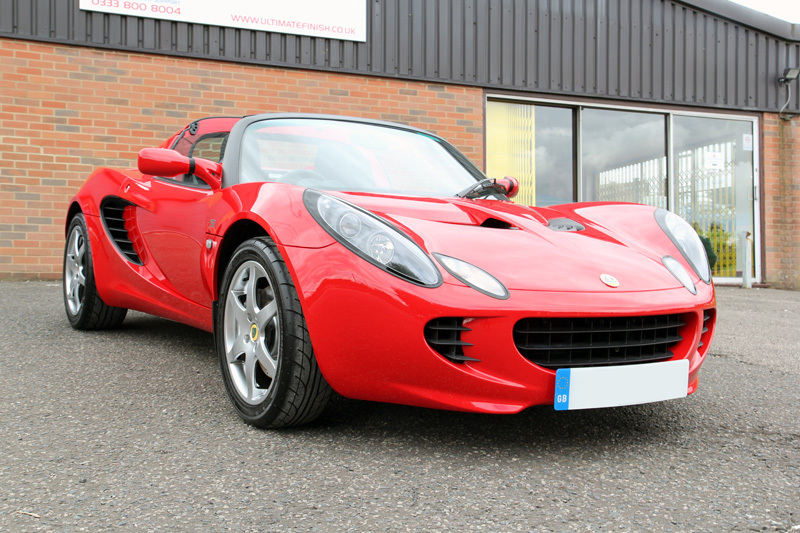 A recent customer and passionate car enthusiast had spent a long time finding and selecting a Lotus Elise S to add to his stable. 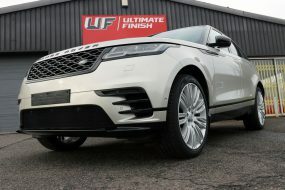 Having made his purchase he booked the vehicle into UF Detailing Studio to have a protective sealant applied. 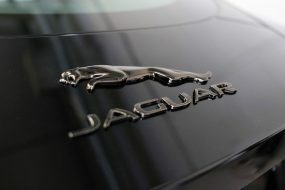 The car had been described by the supplying dealer as in ‘immaculate’ condition – an impressive claim considering the age. 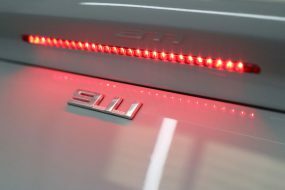 When the Elise S arrived it was thoroughly decontaminated and cleaned, first with an iron contamination remover, then a degreaser, a pre-clean with Ultimate Snow Foam and finally a safe wash with a pH neutral shampoo utilising the Two Bucket Method. 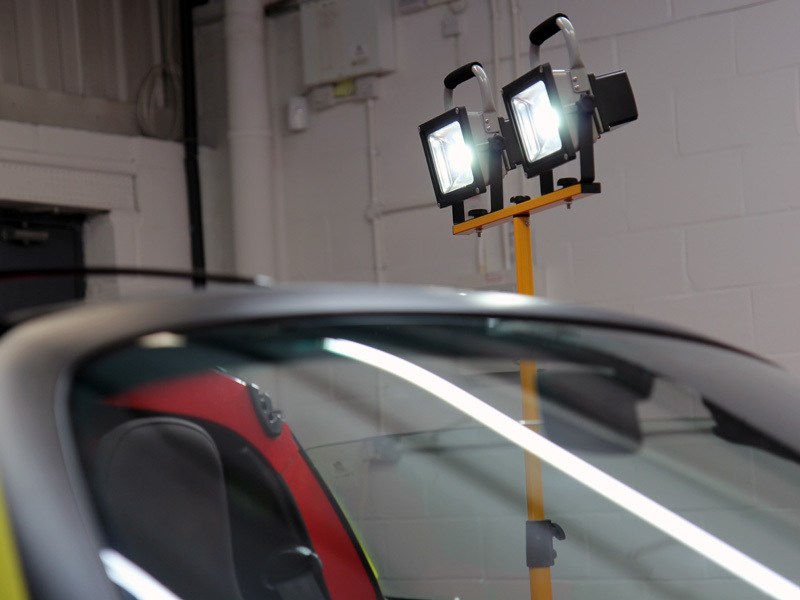 Once the car was thoroughly clean and dry it was brought in to the studio for inspection under high intensity lighting. To correct the damage a FLEX PE14-2-150 was used with a RUPES Medium Polishing Pad and SCHOLL Concepts S2 Orange High Performance Compound. 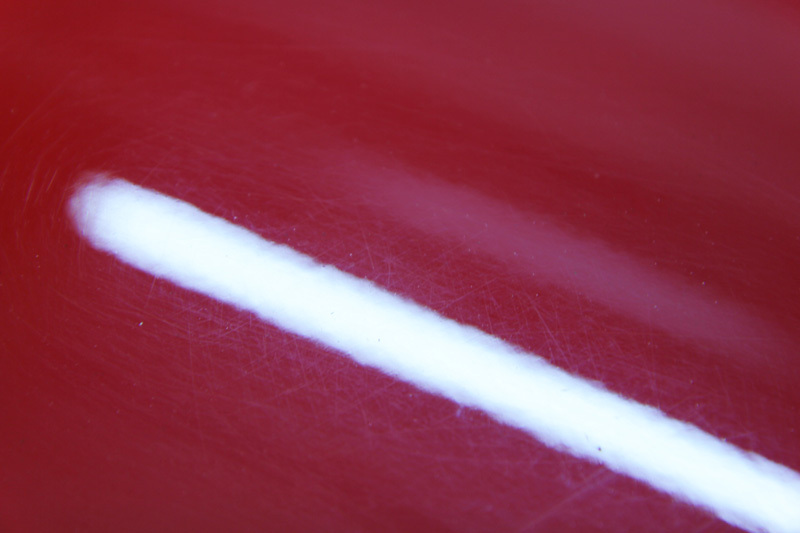 S2 is a solvent-free compound so blemishes are removed rather than masked and the diminishing abrasives tackle deeper scratches and eventually ‘fine out’ to remove swirls. 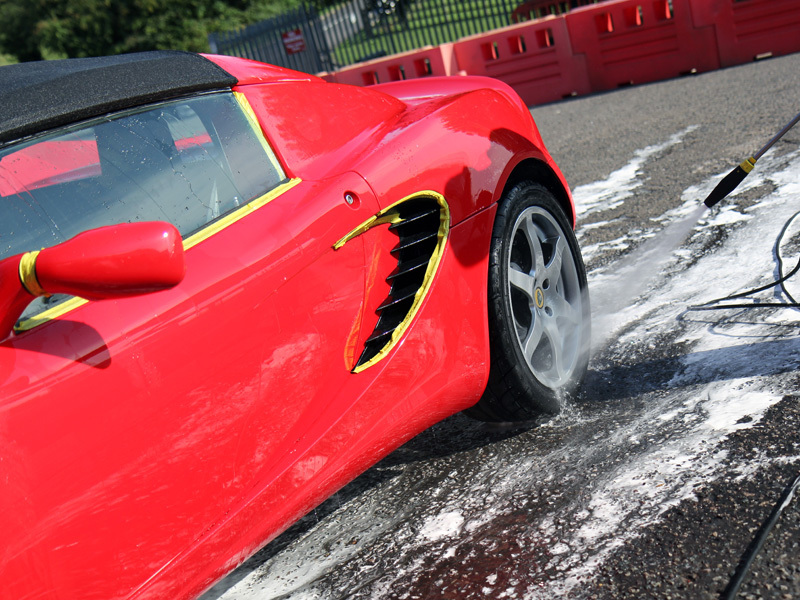 After the correction stage the Elise S was washed again to remove any traces of compound dust. 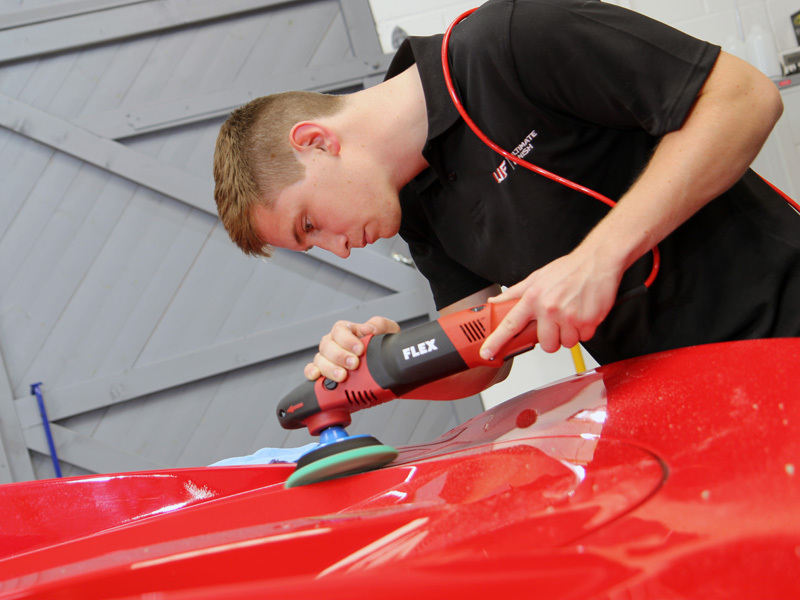 Then to refine the paintwork a RUPES BigFoot LHR15ES Dual Action Machine Polisher was used with a RUPES Ultra-Fine White Pad and SCHOLL Concepts S40 Anti-Swirl Compound. 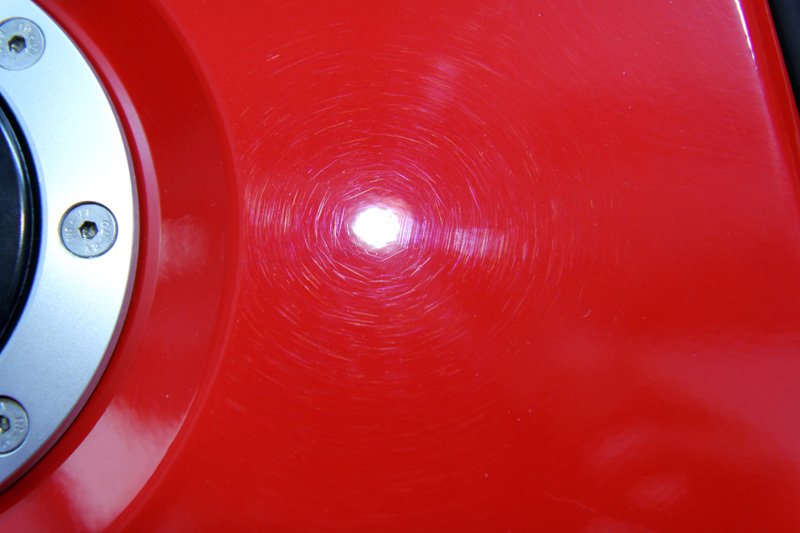 S40 has a very fine cut and leaves an extremely high gloss finish. A vast improvement over the condition the paintwork when it was first brought to the studio! With the paintwork corrected and refined it was time for the paintwork to be fully protected. 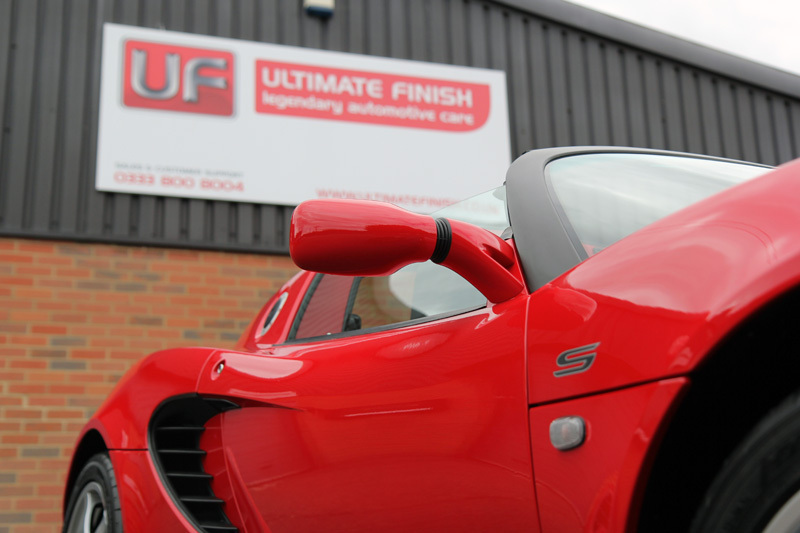 Recently UF Detailing Studio was approached by Williams, who provided a sample of their F1 team branded Ceramic Coat. 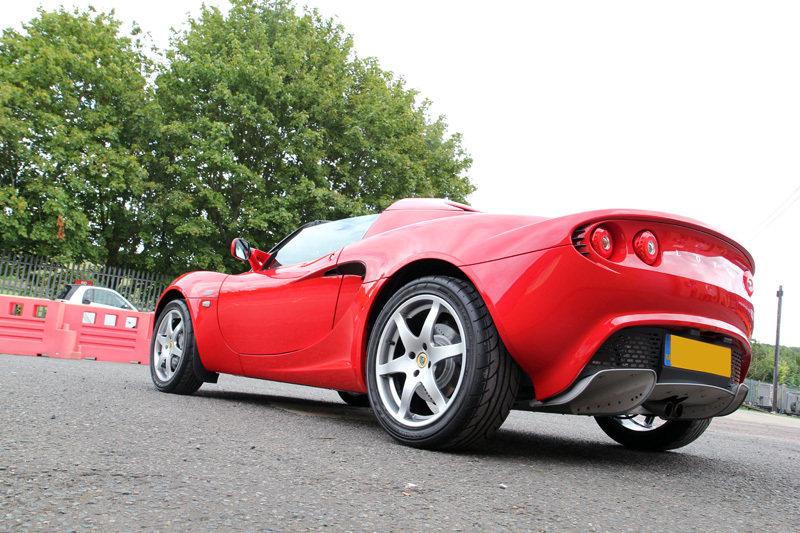 The race-car nature of the Lotus Elise S made it the ideal car to apply it to! 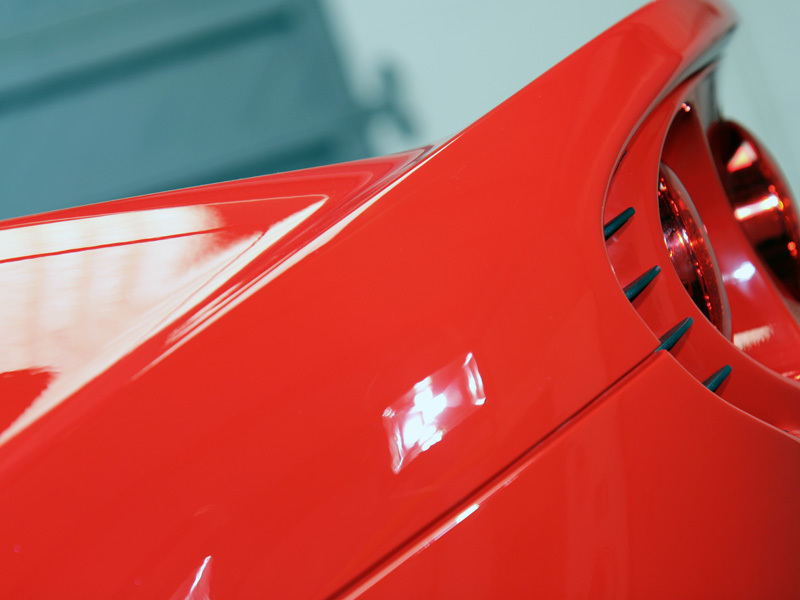 The paintwork was first cleansed using Williams Pre-Clean, designed to remove any trace elements that may interfere with the sealant’s bonding process. The pre-cleaner doesn’t flash off quickly, but lingers to dissolve the maximum amount of residue, ensuring the surface is left completely bare. 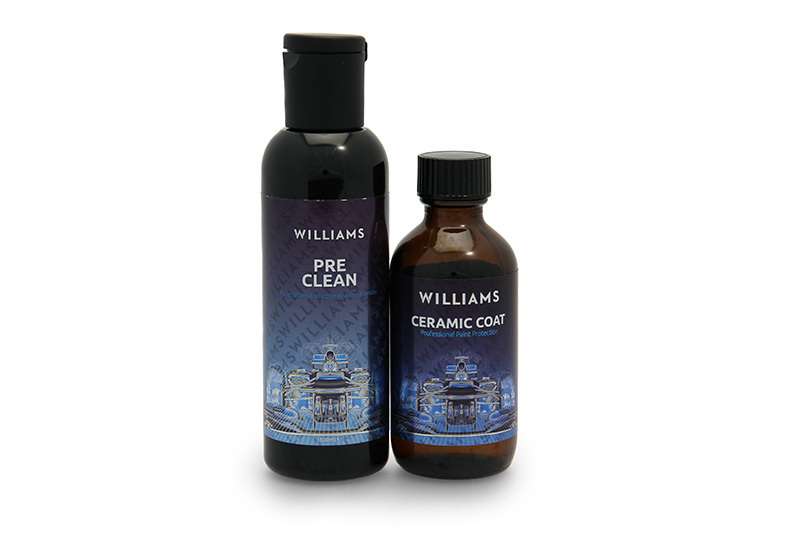 Williams Ceramic Coat is then applied in a thin layer using an applicator pad. 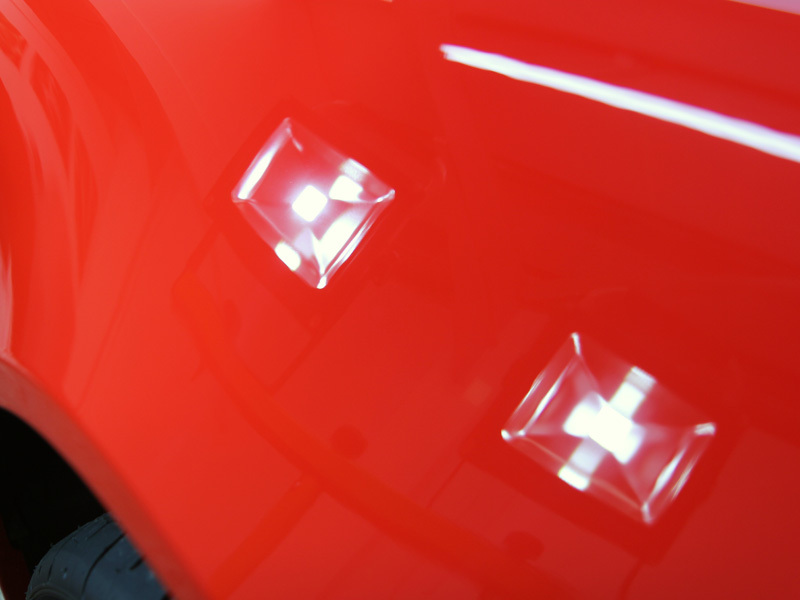 It bonds with the pores in paintwork, blocking contamination from sinking into the pores. Once applied it cures quickly to provide a comprehensive barrier against industrial and environmental fallout such as acid rain and birdlime. 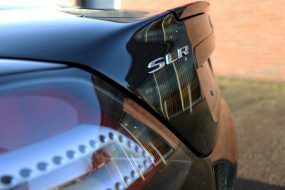 The hydrophobic nature of the sealant causes water and dirt to be repelled, leaving the surfaces cleaner and shinier for longer. The engine cowling had been removed prior to the machine polishing stage. This was completely coated with Nanolex Trim Rejuvenator to protect it from the damaging effects of UV radiation. 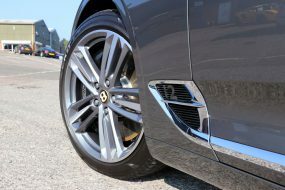 The wheels were treated with Polish Angel SuperSport PTFE Wheel Wax to protect them from the build-up of brake dust. 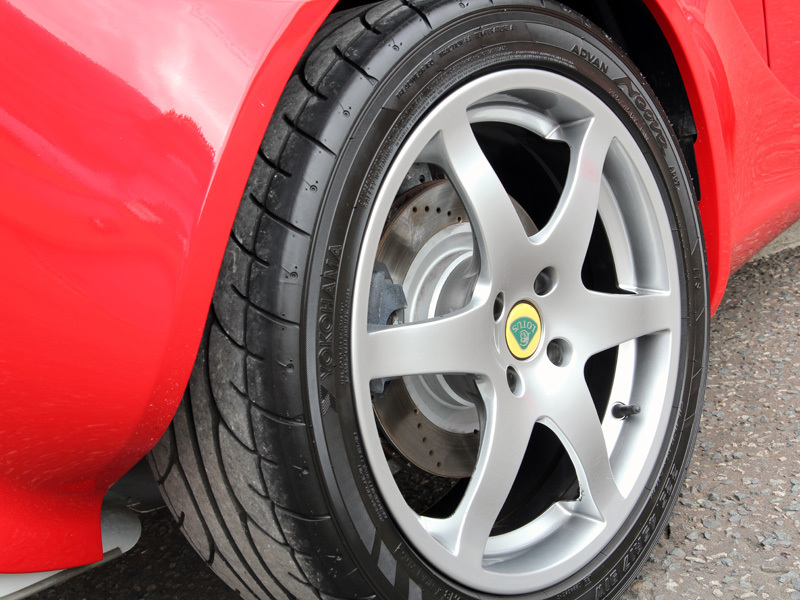 The tyres were protected with Polish Angel Honey; a long lasting tyre dressing that leaves a natural, satin sheen. The glass was then sealed using GYEON Q2 View, forming a water-repelling barrier, making driving less tiring during bad weather conditions. 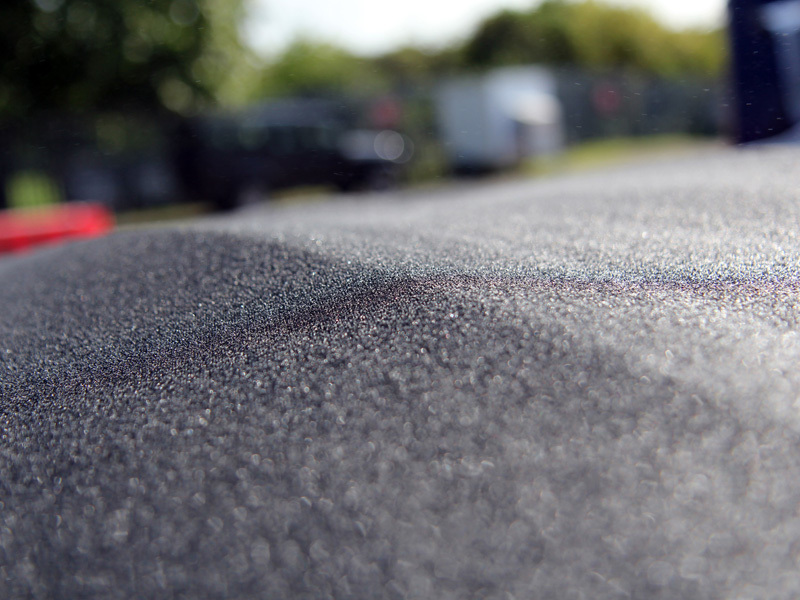 The Elise S soft top was in need of weatherproofing, highlighted during the wash process which had left the fabric completely saturated. 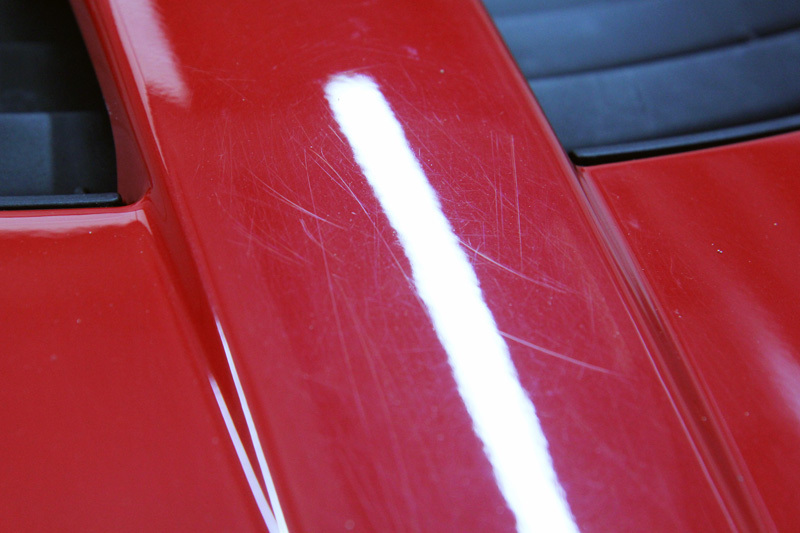 The top was first cleaned and then, once thoroughly dry, sealed using Swissvax Lotos Soft Top Protectant. 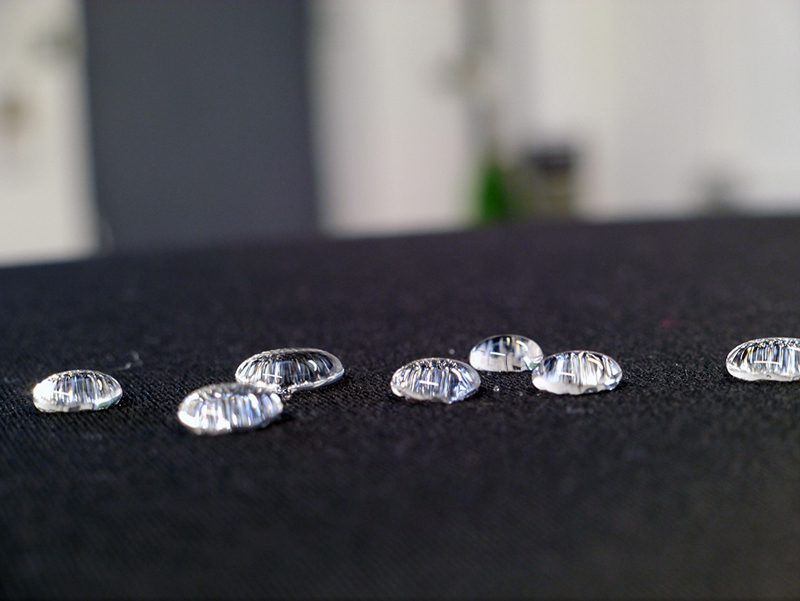 Lotos causes rain water to form beads on contact, repelling it rather than allowing it to soak into the fabric. 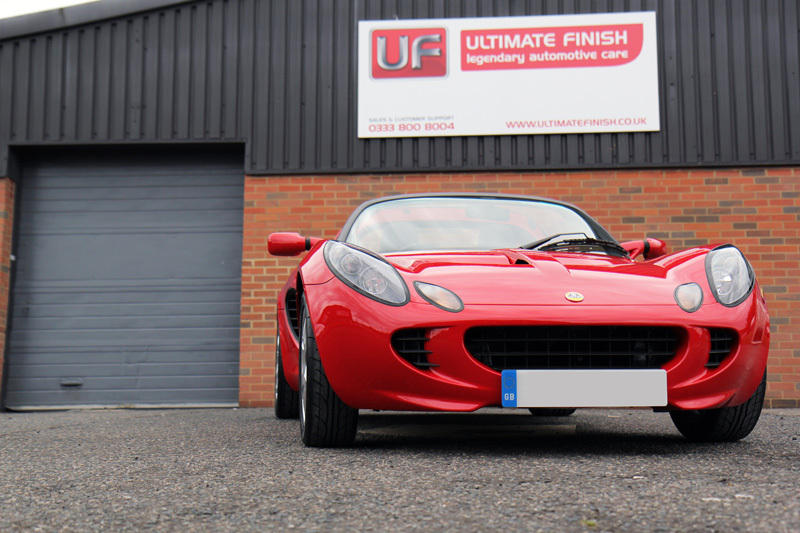 The Lotus Elise S was now fully protected and the final result was absolutely stunning. The Ardent Red paintwork shone brilliantly in the sunshine and it’s fair to say the customer was absolutely blown away with the finish!